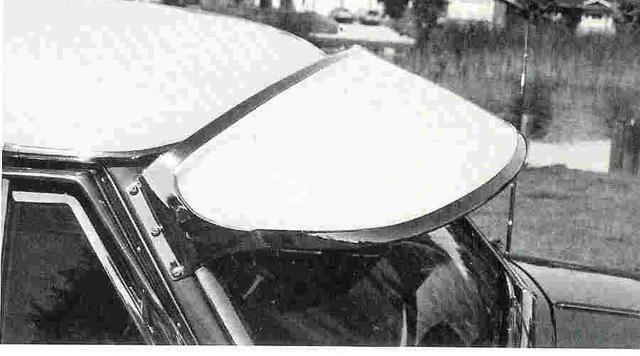 Looking for an outside sunvisor for a '53 or '54 Pontiac Star Chief. I think it can also be for a Chieftain. Earlier years had split windshields so I think the body size was different. Unsure of the years above 1954. The only way would be to measure length with brackets and I think it's around 56" long. Thanks. 53 and 54 will be the same. I've checked bijims as well as another company on ebay manufacturing aftermarket visors. After converting the USD to CDN and shipping made them pretty pricey. Almost what I paid for the car LOL. I also checked with a few scrap yards I could get a hold of and none were available. I was hoping for a used one that I could clean up and save a few bucks. I found one in my province that was off an earlier year that looked good and the seller wanted to get rid of it. He measured it and it came up short. Thanks for the reply! To satisfy my own curiosity, what year was the one that didn't fit? Sorry Bloo I can't remember and my conversation has been long deleted. Half the time the seller isn't sure of the year anyway. It measured too short so I ended that one. I tried searching for the seller but I can't find him. I believe he was in Southern Ontario. Like KURTRUK said you need to find one for 1953-1954. Chevrolet visors are the same. An original visor may be difficult to find and I think they're ALL gonna be pretty pricey. I have owned several old cars with outside visors and I prefer a car without one especially when driving on an interstate and being passed by a tractor trailer doing 80 mph. If you find an original make sure you get all the mounting hardware with it. To each his own. If you want one go for it. and from what I've been seeing I agree. Might as well shell out the dough to get a new one hardware and all. I've never had one so I wouldn't know how they are for driving. Just like the looks of it. I also drive around town or to shows, no highways. I have other items of more importance to purchase until then.....thanks! not quite all the same, the chevy visor didn't come with the back edge stainless steel trim whereas the pontiac visor did. i recently sold my extra 53-54 pontiac visor used for $500.00 with the trim mounting plates for a sedan. I can get a new one for around that price. Not sure of the quality of course but I wouldn't have to worry about cosmetics. I can barely find a used one and leave it to Charles who had "an extra one." haha.